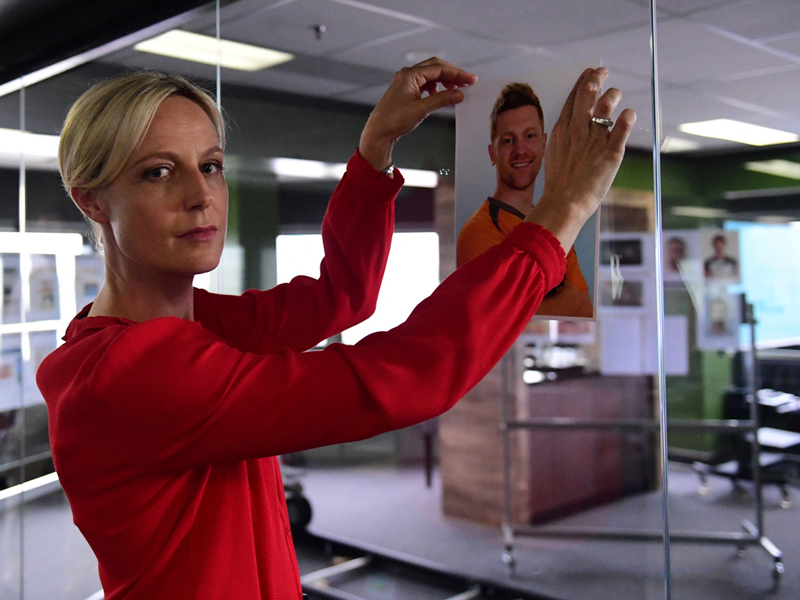 Marta Dusseldorp returns to the U.S. with eight new episodes of the brilliant Australian legal drama Janet King. It’s the highlight of the Acorn TV July 2017 calendar. Dusseldorp also shines on Acorn TV in the Aussie melodrama “A Place to Call Home,” but I love her portrayal of the dogged former crown prosecutor now working for the National Crime Commission. In Series 3, Janet’s investigation into a sports fixing conspiracy leads her to multiple illegal activities, shady deals and dangerous people. As if the exclusive U.S. premiere of new “Janet King” wasn’t enough for viewers, Acorn TV also has two new “Midsomer Murders” mysteries, a three-part doc on Winston Churchill and ancestor John Churchill, who faced down Louis XIV of France. And Christmas in July is back with the first U.S. look at the latest “Murdoch Mysteries” Christmas special. Check out the Acorn TV July 2017 calendar below for details and more premieres. Subscribers can stream via Apple TV, Roku, iOS, Chromecast, Android and other devices. The streaming service offers a free trial and thereafter is just $4.99/month or $49.99/year. She’s a workaholic lawyer with a conscience and a messy personal life. As a crown prosecutor, Helen West (Amanda Burton) deals with domestic abuse, molestation and murder. Driven by a strong sense of justice and compassion, she pursues cases even when her boss insists she drop them and goes out of her way to offer victims a helping hand. Based on the acclaimed novels by former crown prosecutor Frances Fyfield. Christmas in July returns with the feature-length Christmas special from Season 10. Set in Toronto in the late 1890s and early 1900s during the age of invention, “Murdoch Mysteries” centers on Det. William Murdoch (Yannick Bisson), a methodical and dashing detective, who enlists radical new forensic techniques to solve some of the city’s most gruesome murders. When brazen robberies target Toronto’s wealthiest businessmen just days before Christmas, Murdoch and Brackenreid’s jobs are under fire if they don’t quickly solve the case. Meanwhile, Jackson and James team up to bring Christmas spirit to the Station House, Crabtree’s latest novel finds some unlikely fans, and Ogden is stalked by two street urchins who need her help. David Starkey uncovers the links between Britain’s two greatest war leaders, both called Churchill: Winston and his ancestor John. Everyone knows Winston Churchill led Britain and her Allies in their struggle against Hitler during World War II. Less well known, however, is John Churchill, Duke of Marlborough, who also led Britain and her Allies against a would-be dictator of Europe. He took on the Sun King Louis XIV of France. Screenwriter Andrew Davies brings all of his sly, stylish wit to this adaptation of 18th-century Britain’s most notorious novel. With a mischievous glint in her eye and plenty of knowing winks, Fanny (Rebecca Night) relates her journey from wholesome naïf to worldly woman. After losing her parents to smallpox, the poor country girl travels to London, where she falls into prostitution under the guidance of an infamous madam. Forced to take a series of lovers to survive, Fanny learns to relish sensual delights—but reserves her heart for her one true love. Samantha Bond, Alison Steadman, Philip Jackson and Hugo Speer also star. Retired couple Arthur (Bernard Hill) and Martha (Virginia McKenna) Goode live a quiet suburban life, tending to their garden and socializing with friends at their club. But when the nation’s financial crisis empties their hard-earned pension accounts, the couple seizes the opportunity to replenish their funds through a series of bank robberies. This fast-paced comedy-drama features an internationally renowned cast, also including Phil Davis, Una Stubbs, Sue Johnston, Mark Williams, Brad Moore, Ellen Thomas with Simon Callow and Alun Armstrong. Set against the gorgeous backdrop of the Trentino region, this Italian-language drama follows the winemaking Masci family.